As a WordPress Developer who has experienced dozens of hosting companies in Canada and the United States over the years, I can tell you first hand that finding a reliable hosting company is like trying to find a needle in a haystack. Many of my web hosting experiences ended like bad relationships. Everything starts off great and then the honeymoon phase ends as I’m begging them to restore my hacked site, pleading them to get my servers back up or address one of the many server I’ve had the displeasure of dealing with as they wash their hands of the problem and try to pawn the issue back to me suggesting it’s a website issue. WordPress has become the #1 content management system in the world and is almost standard for both personal and business websites for a variety of reasons. However, the needs of hosting a WordPress website are unlike hosting an HTML website. This is one investment you really need to carefully make when searching for a reliable hosting company, otherwise you will be entering a world of stress and panic attacks. Hosting a WordPress website requires more memory and CPU than hosting a regular HTML website. This means that you need to make sure that the hardware can accommodate the software. This is why it’s important to invest in the right web hosting company as it can have a drastic impact on your websites usability, search rankings and bottom line. 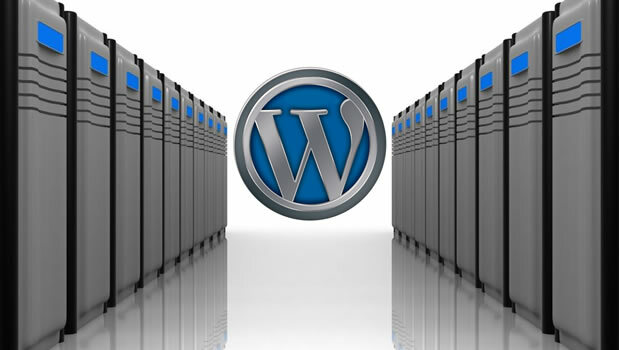 WPEngine is a company that specializes in WordPress hosting. You can now breathe easy and focus on your website while they make sure that your site runs quick, secure and your online business or personal website continues to run smoothly. Many issues that are commonly ignored by most hosting companies such as security, page speed, WordPress updates, site migration and taken care of by the WordPress & Server experts at WPEngine. While their hosting prices might seem high in comparison with other hosting companies, I can assure you the saying definitely stands when it comes to hosting – “you get what you pay for”. I’ve hosted websites on $3 packages in the past and all they got me was headaches and occasionally having to listen to elevator music while I waited on the phone for over 40 minutes to talk to someone in technical support. WPEngine also provides 24/7 customer support. With over 100 full-time WordPress experts available via chat or phone, you can rest assured that your WordPress questions will be answered at any time, from minor issues to optimizing your website. For customers who have paid for Premium or Enterprise web hosting plans, you can enjoy an upgraded support that provides consultative onboarding experience, launch assessments and account management from WPEngine’s technical support staff. It’s like having a outside technical department that operates like an extension to your company except having to pay for an expensive server and a high paying salary for someone to run it. WPE SSL $49.99/YR. $49.99/YR. $49.99/YR. For more information on getting quality WordPress hosting with WPEngine visit them online by visiting www.wpengine.com.